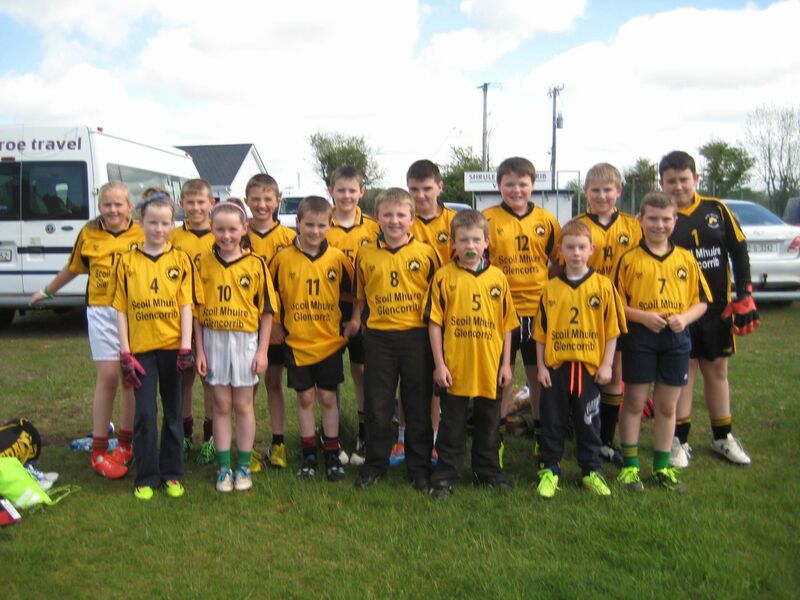 On Wednesday the 20th of May 3rd, 4th, 5th and 6th all went to Knockmore where we played Murrisk NS in the division 5 county semi final. 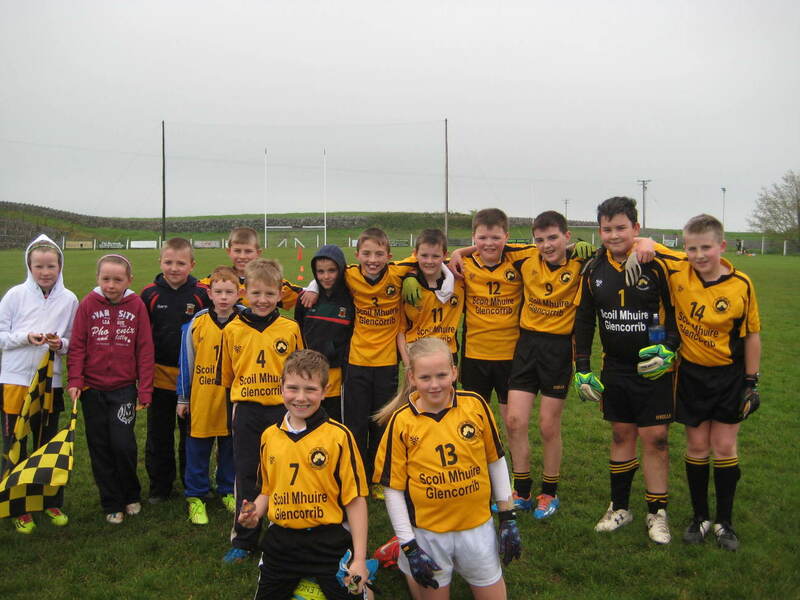 We started out well with a goal and we played our best but unfortunately we lost by 7 points. We all had a great day even though we lost and we got ice cream on the way home! 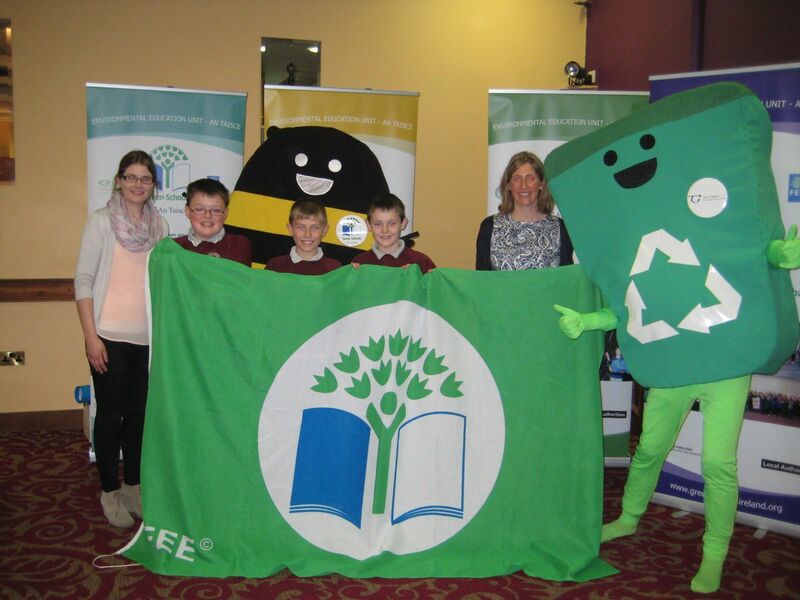 On Tuesday the 19th May three people from the Greenschool’s committee (Joseph, Gary and David) went to the McWilliam Park Hotel Claremorris to collect our second green flag which was based on saving energy. There were lots of schools there. 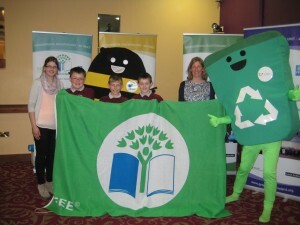 We had a great day and we will have a flag raising ceremony in June. 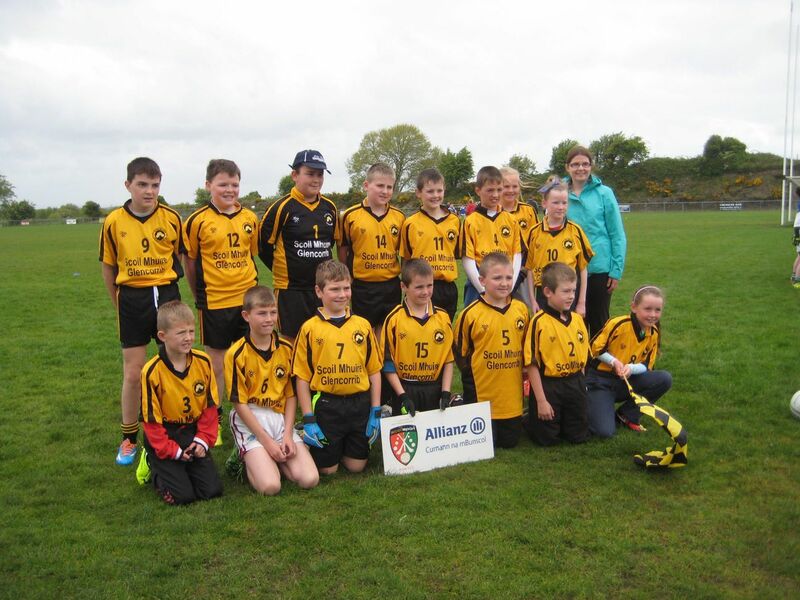 On Friday 15th of May our school went to Kilmaine to play in the division 5 quarter final in the Cumann na mBunscol. We played a school called Gortskehy and we won by eight points. 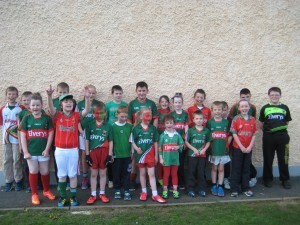 We are in the division 5 county semi-final which is on Wednesday 20th of May which will be played in Mchale park Castlebar. We are all looking forward to it. 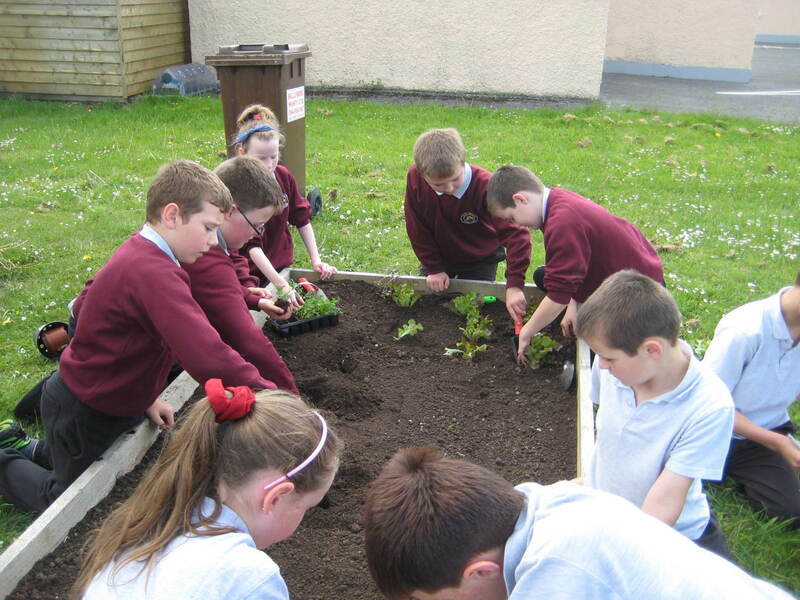 The Senior Room were busy in the garden planting vegetables. 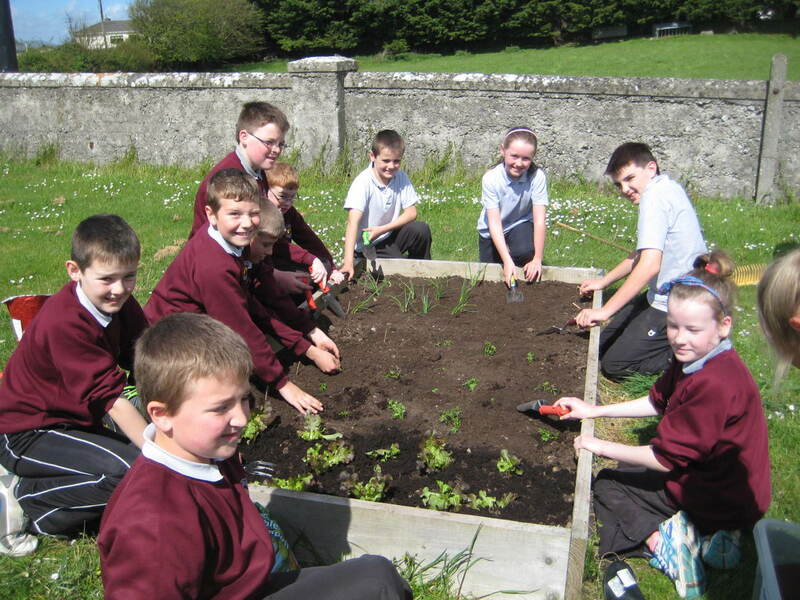 We planted onions, cabbage and lettuce. We will water them everyday and we are looking forward to watching them grow! 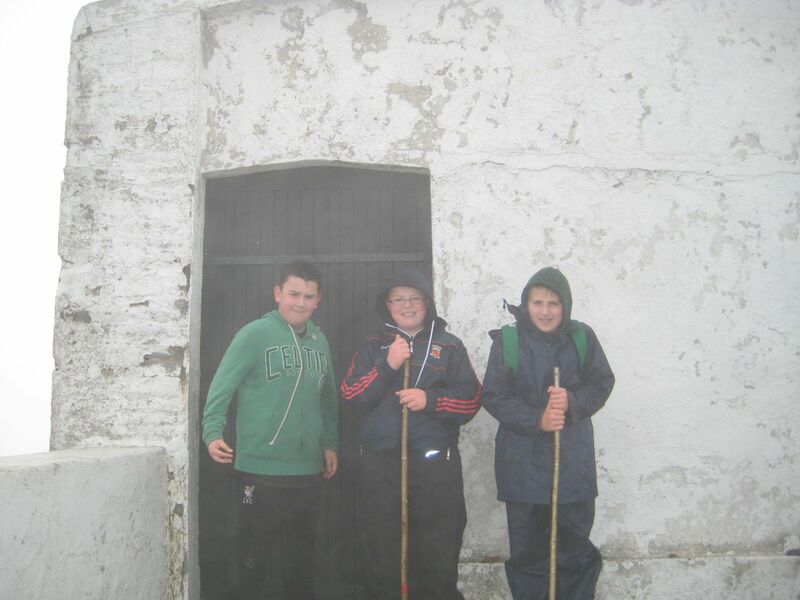 On Wednesday the 29th of April the 5th and 6th classes from Glencorrib, Kilroe and Shrule climbed Croagh Patrick for their Confirmation. We got a bus from our school to Croagh Patrick. We all set off ready to take on the big challenge. 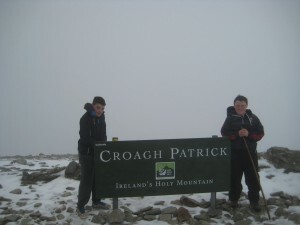 On the way up we got a mixture of weather like rain, hail, snow, sleet, sun and wind. 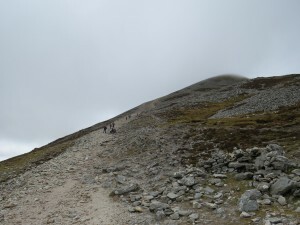 After a tough climb we all reached the summit. At the top Father Crosby said a lovely mass in the church. On the way down the rocks were really slippery from the rain and snow so we had to be careful. When we reached the bottom some people said a prayer at the statue. Even though the weather wasn’t the best it was still a great experience. We are all very proud of our achievement. 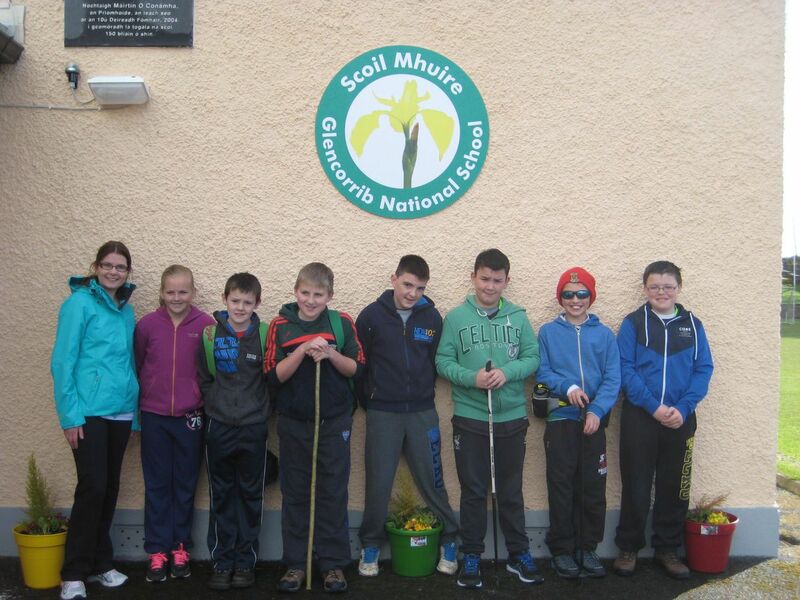 We would like to thank our teachers, parents and Fr. Crosby for this wonderful day that we will remember for a long time. 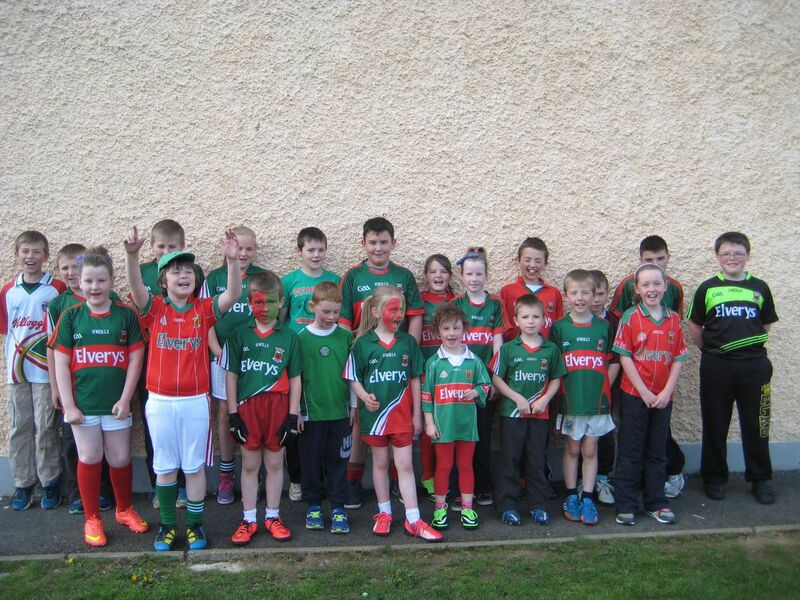 We celebrated Mayo Day by dressing in red and green. Everyone made a great effort and were proud to wear their county colours. 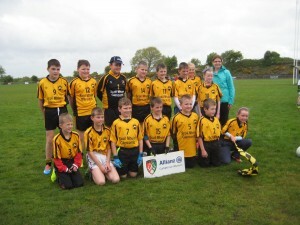 On Thursday the 7th of May we played in Cumann na mBunscol in Glencorrib pitch. 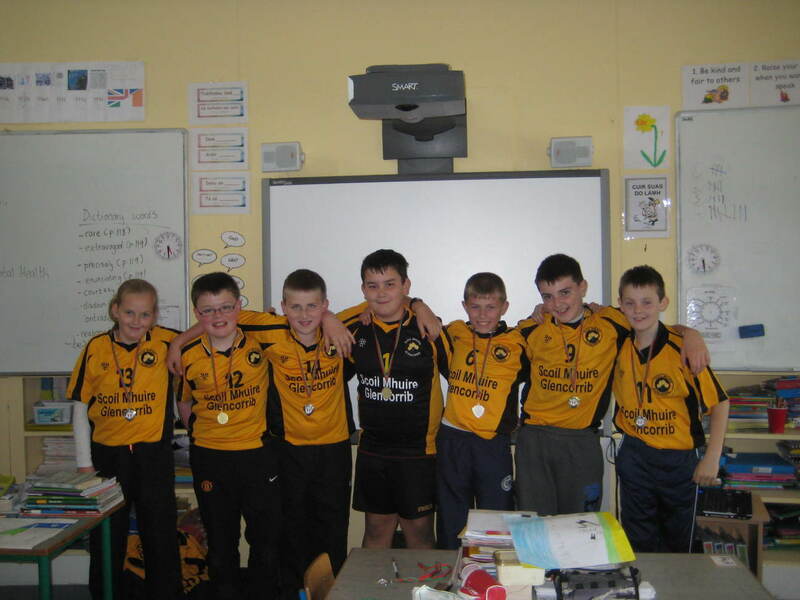 We first played Coill a’tSidheain we won that match. 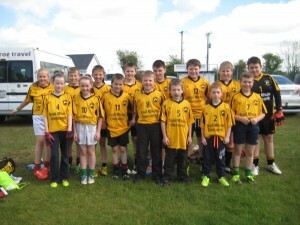 After that then we played Ballycushion we won that match aswell, but finally it was time for the final match and we played Gortjordan it was a close match but we won by a point in the end. We have another match next week. Everyone enjoyed themselves. 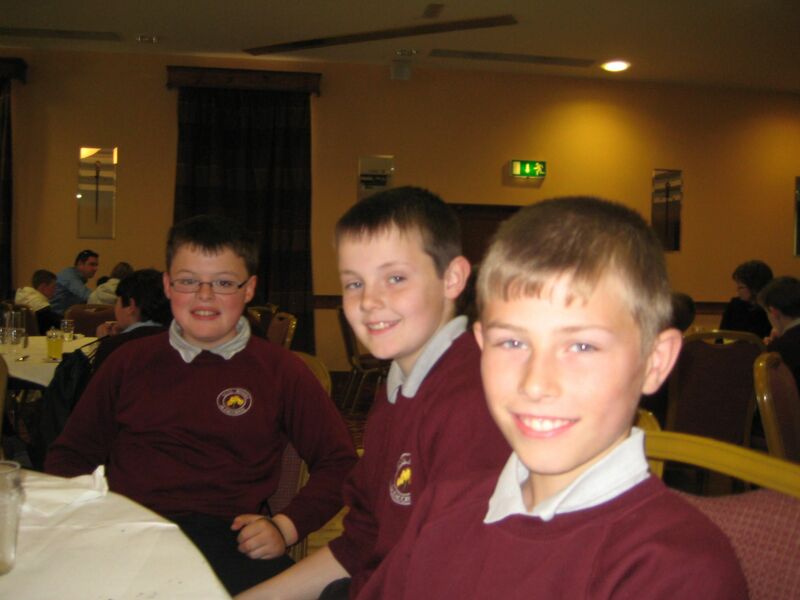 Come on Glencorrib! !